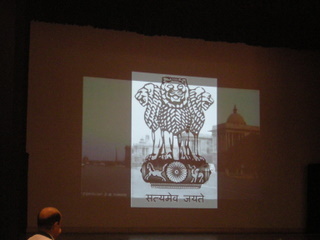 60 years of independence were celebrated with great zest and zeal at LSR on the 14th of August. 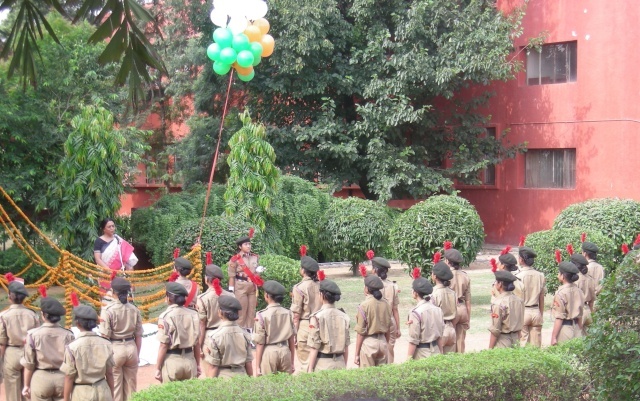 The celebrations started on the back lawns with flag hoisting by the principal of our college Dr.Meenakshi Gopinath and oath taking ceremony by the NCC cadets. This was continued in the audi with fabulous performance put forth by all the performing arts societies where they tried to portray the meaning of freedom in their own respective way. 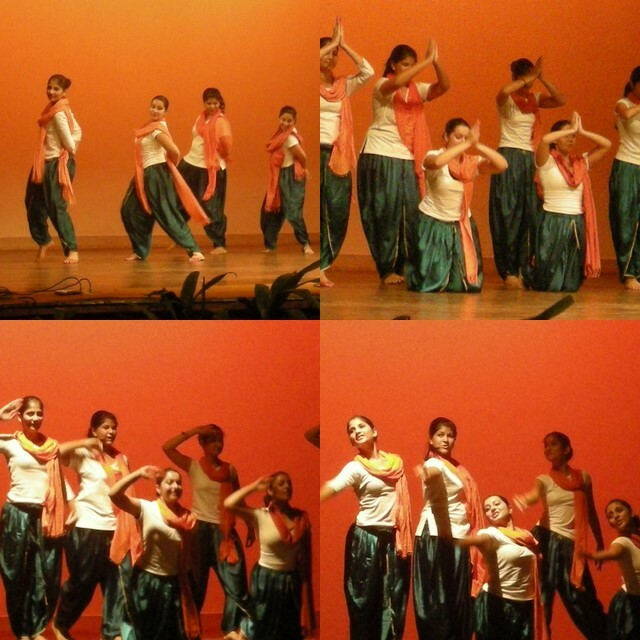 Seven forms of classical dances came together on one stage. 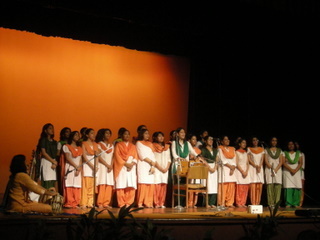 IMS (Indian Music Society)- dressed up in beautiful tri-coloured salwar kameez students sang patriotic songs to show their love for country. Beautiful...and a different attempt too...all we did in college on 14th august was study....a few were seen carrying tri colour balloons..that's it!! 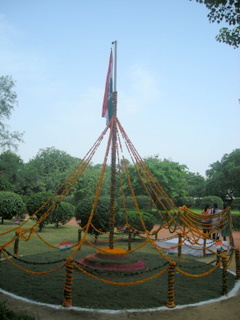 iwish our college too celebrated this day with the same zeal and zest as urs...way to go gurls!! 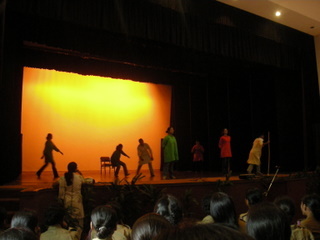 Then came the much awaited The Dramatics society-tagged as the best society of Delhi University by Metro Now. The play highlighted the sacrifice made by our martyrs during the freedom struggle that brought about a drastic transformation in our motherland- our land of birth, our pride-INDIA. 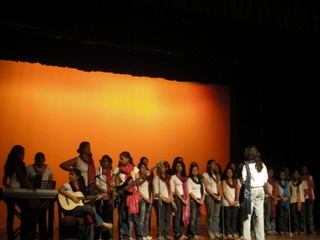 WMS (Western Music Society) sang in the praise of our nation. hey.. our coep dance on independence day was nice..
il try to get the videos or pics..
i think it ws award winning in a competition !!! those pictures shows their respect towards the country.... thats great to see a lot of peoples turning out... this kind of feeling should be there for each and every citizen. 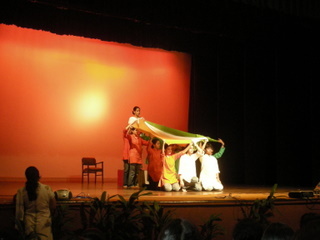 We in St. Xavier's Kolkata celebrated the day with great aplomb.After the flag hoisting with the active involvement of NCC and usual speeches by the authorities, the entertainment phase started.The cultural association of the college presented an ensemble of songs and dances on inspirational patriotic songs.The whole event was anchored by meeee n i also recited some good english poetry on our mother India. so u guys have these various 'societies' in your college? ?...and btw which college is this exactly? ?